A few months ago, we witnessed NBC News anchor Brian Williams’ precipitous fall from grace. Williams lost credibility after exaggerating his experience covering the war in Iraq back in 2003, prompting NBC to remove him from the NBC Nightly News desk. NBC execs remain tight-lipped as to when, or even if, Williams will return. This week, on the heels of a 1-7 slide, Cincinnati Reds manager Bryan Price unleashed an expletive-laced tirade against a Reds beat reporter. The reporter’s crime? Divulging that the Reds All-Star catcher, Devin Mesoraco, was unavailable in Sunday’s prime time game against the St. Louis Cardinals. For simply doing his job, this poor guy received the brunt of Price’s venomous rant, a six-minute tongue lashing in which Price used a certain choice term a whopping 77 times. Price has since issued an apology and according to many baseball insiders, he’s a genuinely nice guy. But I suspect those six minutes will follow him for a long time. Truth-telling should be our native language. Nobody likes a liar, a manipulator of the truth, an exaggerator. Truth-telling is a matter of dignity. If I tell you the truth, that means you matter to me. Likewise, you honor me when you speak truth to me. We should be striving to tell the truth, even in circumstances that make us uncomfortable. Our words have the power to define us. What we say and how we say it will likely be remembered for a long time. 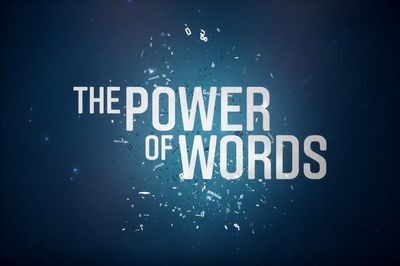 In the words of Proverbs 18:21, “Death and life are in the power of the tongue…” The words you use today will go a long way toward determining the words that are spoken about you long after you’re gone. Our words have the power to define others. Do you still remember that criticism you received in junior high? The kid that made fun of you in high school? That embarrassing story someone told about you? Of course you do. But just as our words have the power to cut and wound, they also possess incredible power to heal and reorient. Children are especially hungry for this type of affirmation. I seek out opportunities to tell my children who they are as a counter to the deluge of false identities the world has for them. Use your words to help define others in ways that are affirming and encouraging. This entry was posted in Baseball, Devotional, Kids, Politics, Proverbs, Scripture, Sports and tagged Brian Williams, Bryan Price, Proverbs 18.21, Proverbs 25.11, Truth telling. Bookmark the permalink.